Are you searching for methods to gain talents in Maplestory 2? This article would give you some advices. Gain various talents by investing points into them. You will receive 10 points upon reaching Level 50. Effect will not apply in PVP regions. More Drops from World Bosses: Chance to receive additional rewards when killing world bosses. Elite Monster Resistance: If being an elite monster who shot damage 6% Reduced. Shot: Increases the attack speed. Shot: 15 seconds for a certrain chance to attack speed 3% increases. More Tokens of Valor: Receive Token of Valor x2 when winning matches in the arena. Wooden Chest Jackpot: Chance to receive 100,00 mesos from wooden chests. Move speed increase mounts: When I go on horseback ride speed 10% increases. Golden Chest Jackpot: Chance to receive 9999 Onyx Crystals from Golden Chests. More Stuff from Mission Box: Chance to receive additional rewards from daily mission boxes. Increased Daily Quest EXP: Chance to receive 5x more EXP from daily quests. Increased Daily Quest Mesos: Chance to receive 5x more Mesos from daily quests. Increased Daily Quest Lu: Chance to receive 5x more Lu from daily quests. Increased EXP from Music: Chance to receive 3x more EXP from playing music. When Life Gives You Lemons: When failing to enchant +10 item, receive 2x more Fracta Crystals. I Love Big Fish: Receive 2x more EXP and Mesos when catching big fish. 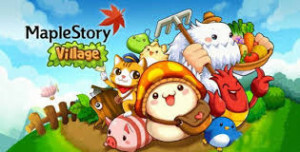 For more of Maplestory Updates, Guides or Maplestory 2 Mesos, keep it here on Maplestoryer.